Monthly and seasonal maintenance not only helps to keep your home running smoothly they also help to protect your investments and avoid costly repairs. 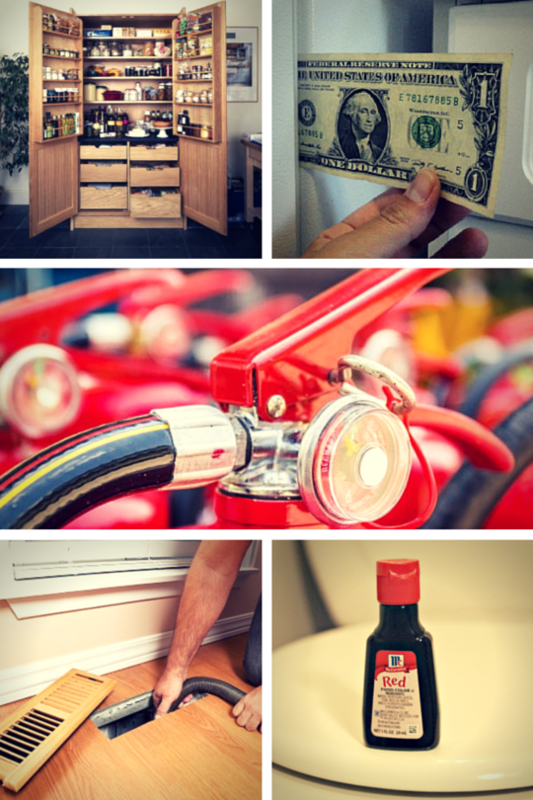 Below, you will find several tips and reminders of household maintenance you can do each month. This is something many of us don't even think about doing. However, your extinguisher has an expiration date. Check the date to make sure your extinguisher is still good. Since they are relatively low in cost, if you have any questionable extinguishers in your home or garage, it is recommended to replace them. In order to get a jump start on your spring cleaning, start with you pantry. Make sure to take everything out, wipe down the shelves and check the expiration dates. If you find something you no longer want or will not use before the expiration date, make sure to donate them to your local food bank or church. Vacuum your clothes dryer exhaust duct, refrigerator coils, vents, baseboard heaters, and cold air returns. This simple step will not only help extend the life of your appliances, it will also help save on energy bills. Make sure you change the filter in your heating system. Thirty days is the longest you should wait, especially during peak usage months. Check the door seals on your refrigerator. Close the door on a dollar bill and attempt to pull it out while the door is closed. If the bill slides out easily, it is time to replace the seals. Leaky toilet tanks do more than increase your utility bills; they can cause costly water damage to your flooring. Try this quick trick, add some red food coloring to the water in the tank, and wait about an hour. If you come back and the water in the bowl is pink, you have a leak.